Your trusted appliance parts store since 1953! We're a family-owned and operated replacement parts supplier of OEM and aftermarket home appliance and HVAC repair parts. For over 60 years, contractors, service technicians, housing developers, institutions, and do-it-yourselfers all look to our store for their replacement part needs. We have inventory to help with repairs of a wide variety of home appliances such as dishwashers, dryers, microwaves, range-ovens, refrigerators, freezers, ice machines, washing machines, HVAC, air conditioners, furnaces, bath fans, vent hoods, commercial refrigeration, commercial cooking, and more, and for a wide variety of brands. If you can’t find the right replacement part, give us a call. We’re here to help! We carry many quality appliance repair parts from the top brands and manufacturers: American Metal Filters Parts, Best Aire Parts, Broan & Nutone Parts, C&D Valve Parts, Dundas Jafine Parts, Electrolux Parts, ERP Parts, EZ Flo Parts, GE Parts, General Filters Parts, ICM Parts, Jason Manufacturing Parts, John Guest Parts, LG Parts, Nu-Calgon Parts, Packard Parts, Parts Connect Parts, Robertshaw Parts, Samsung Parts, Supco Parts, Whirlpool Parts, White Rodgers Parts, and others. 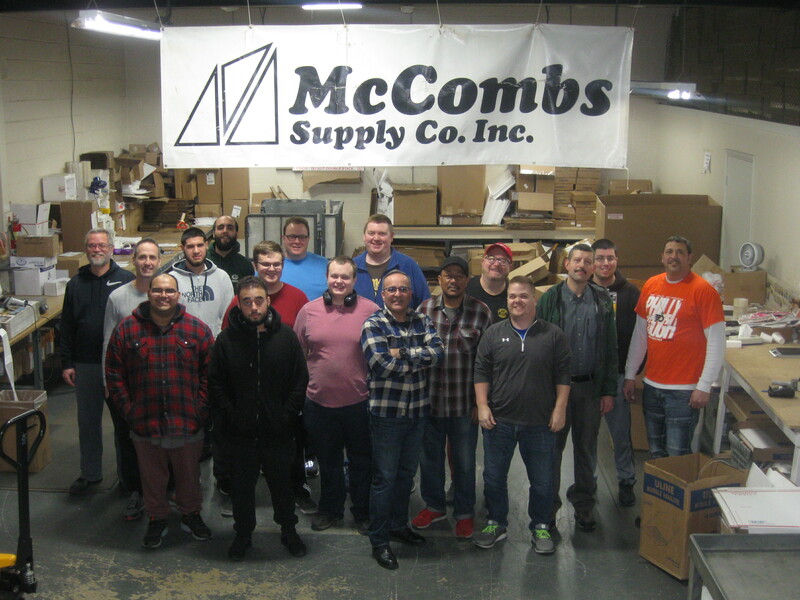 The McCombs Supply Co., Inc. warehouse and headquarters is located at 346 N. Marshall St. in Lancaster County, Lancaster, PA 17602 but serves as a top appliance parts company for the entire United States. Customers are welcome to visit us in Lancaster County or call to talk with one of our knowledgeable and courteous technicians during operating hours or order online 24 hours a day, seven days a week. Broken appliances can be frustrating, but don’t stress. Repair your appliances with the best replacement parts from McCombs Supply Co. We offer low prices, unmatched customer service, and inexpensive shipping on all the appliance repair parts you need to get your home appliances running again. Need help finding a reliable and affordable handyman? Click here to view our guide on how to hire the right repairman for the job. Whether you’re a DIY handyman or a professional home contractor, our massive inventory of appliance parts, in stock, available for immediate purchase, and with super-quick shipping will help you fix any home appliance problem fast and on budget. Shopping for replacement parts with McCombs Supply Co., Inc. also means a job done well, our appliance parts are top quality and designed to work with all the major appliance brands and models so they help your broken appliance run like new again. We carry and extensive selection of high-quality aftermarket and OEM manufacture approved replacement parts, such as Air Conditioner Parts, Bath Fan Parts, Bathroom Exhaust Parts, Brazing Supplies, Commercial Oven Parts, Deep Fryer Parts, Dishwasher Parts, Dryer Parts, Freezer Parts, Fridge Parts, Furnace Parts, Heater Parts, Home Appliance Parts, HVAC Parts, Ice Machine Parts, Microwave Parts, Range Hood Parts, Range Oven Parts, Refrigerator Parts, Small Appliance Parts, Stove Hood Parts, Stove Parts, Vent Hood Parts, Washer Parts, Washing Machine Parts, Water Filters and more. When you fix a malfunctioning appliance, you’re not just saving money by avoiding the cost of a new appliance, you’re helping the environment! The United States produces over 230 million tons of trash each year, and well over eighteen million home appliances are disposed of on an annual basis. Not only do these discarded appliances bloat landfills, but they pollute the soil with harmful chemicals from their electronic elements like circuit boards. Eventually, they contaminating groundwater with mercury and lead causing harm to local wildlife and surrounding families. Extending the life of your household appliances also helps the environment in reducing the global resources used and its process wastes from the manufacture and delivery of new appliances. So, don’t simply trash your dryer or microwave appliances when they display error codes, search our site for your model number and get the replacement appliance parts you need to fix them. Why Shop McCombs Supply Co., Inc.? We’ve been a trusted appliance parts store since 1953! Trusted, because we’re a family owned and operated business that wants to help make appliance replacement parts easy to find and at a cost and quality level that truly helps families get back to their normal routine. We want to make appliance repair as painless as possible. We strive to provide excellent service, not just in our physical warehouse in Lancaster County, Pennsylvania, but to every single customer. If you need parts, we’re here to help!